Chinese servicemen have held their first military drills at China's first overseas base in the Horn of Africa in Djibouti. 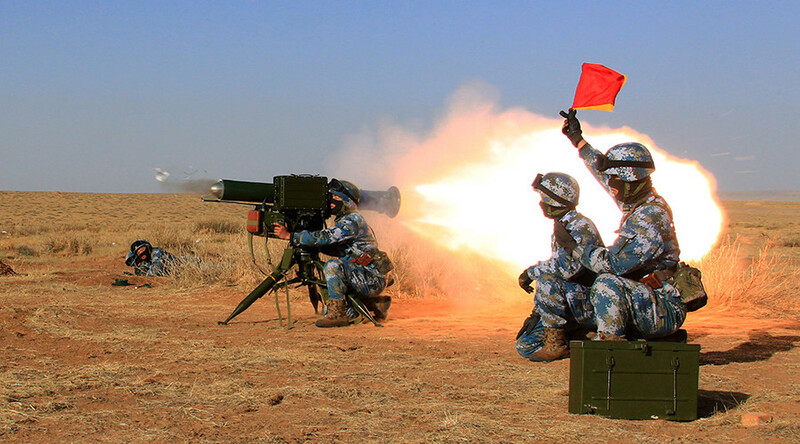 Less than two months after officially inaugurating their first foreign naval military base abroad in Djibouti, the People’s Liberation Army Navy (PLA) held live-fire drills for the first time on Friday, Chinese media reported Monday. The shooting exercise involved dozens of Chinese officers and took place at the country’s national gendarmerie training range, where the Chinese dispatched armored vehicles and used pistols, automatic rifles and machine guns to strike practice targets. Following more than a year of construction, on August 1 China opened its first overseas military facility, which the country plans to use to resupply its naval vessels taking part in peacekeeping missions in the region off the coasts of Yemen and Somalia. China’s contingent of up to 10,000 soldiers is set to remain in the country until 2026, as the Chinese economy expands and its military influence continues to grow globally. Beijing wants to use its foothold in Africa to seek closer ties with nations on the continent that could help it gain access to natural resources and provide new markets. 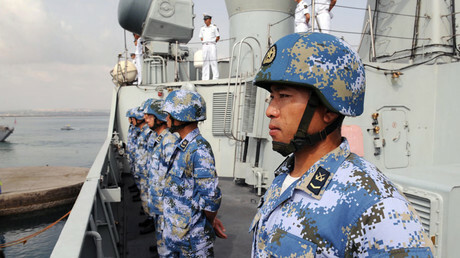 China might also be seeking to counter the Japan Maritime Self-Defense Force presence, which has maintained a small contingent at its base in Djibouti since 2011. In fact, immediately after China wrapped up its drills, the Japanese forces in the country began their own military exercises, reportedly practicing the protection of Japanese nationals abroad. The third drills of their kind, according to the Japanese media, are taking place September 25-October 2. In addition to Chinese and Japanese bases, the tiny African country is a strategically important location at the southern entrance to the Red Sea on the route to the Suez Canal, and also hosts troops from US and France.